* Mohur is all about the rose with its development being an exploration of rose combinations. * The top note is a soapy rose that projects strongly for the first 20 minutes or so. * Part of a trio of fragrances celebrating the history and traditions of India by Neela Vermeire and perfumer Bertrand Duchaufor, the name Mohur comes from a gold coin that was important in the history of India. It is also a tribute to an empress of the Mughal dynasty Noor Jahan, who celebrated the art of perfumery. * The soap of the rose burns off and it gets a little bit sweeter, almost gourmand with the almond milk and iris – making it more luscious. * The sweetness quiets a bit as oud comes into play. Before you shake your head and say, please not another oud fragrance, this is one of the rare scents where oud is a supporting player and not stage hog. The oud makes the rose a little sweaty and almost brazen in feel. 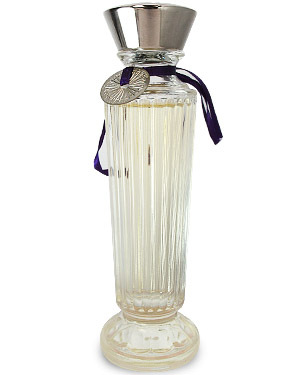 * The oud dissipates and the base of vanilla and tonka sweetens the rose, with wood and patchouli settling it. Summary: Mohur is a fragrance that I didn’t get the first few times I wore it. I wouldn’t say it’s an intellectual fragrance, but the development is quite subtle and gradual over a long period of time. Aside from the rose, none of the other notes stand out or scream. They act as supporting players that tell a story about the rose. Mohur is not one that I personally love, but I could see people who like rose loving it. If you are interested in a different take on rose and oud that is more subtle and refined, Mohur is definitely one worth experiencing. Mohur is available at Lucky Scent and the Neela Vermiere website.